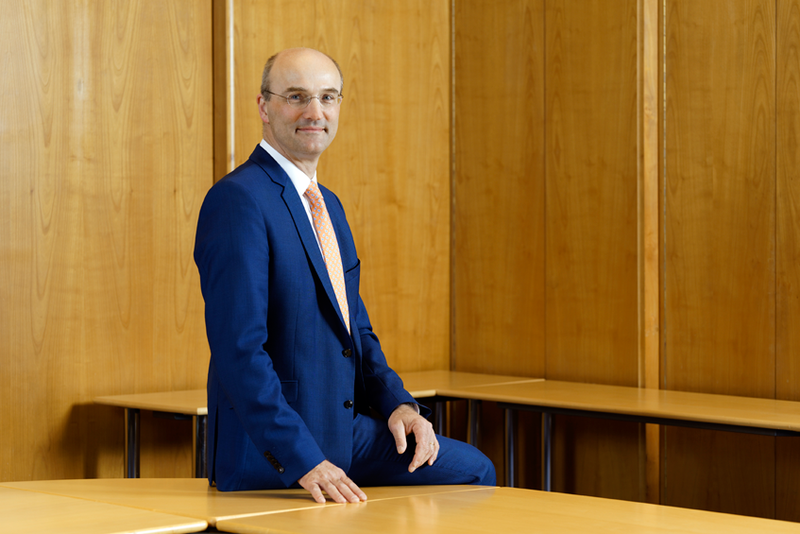 In August 2018, Professor Ulrich Rüdiger became the new rector of RWTH Aachen University in succession to Professor Schmachtenberg. Born in Helmstedt in Lower Saxony, he was elected on 5 March 2018 by the University Election Assembly for an initial term of six years. Rüdiger, previously rector of the University of Konstanz, studied physics at RWTH Aachen University where he also completed his doctoral studies and habilitation. As rector, Professor Rüdiger automatically becomes a member of the Board of the IKV Association of Sponsors. A first meeting at IKV has already taken place, and Rüdiger showed considerable interest in IKV's research. As the second deputy chairman of the Sponsors' Association, he has already assured IKV of his support. IKV would like to thank the departing rector Professor Schmachtenberg above all also for his commitment to the Excellence Initiative. In his ten years of office, he always supported IKV, also as a member of the Board of the Sponsors' Association.